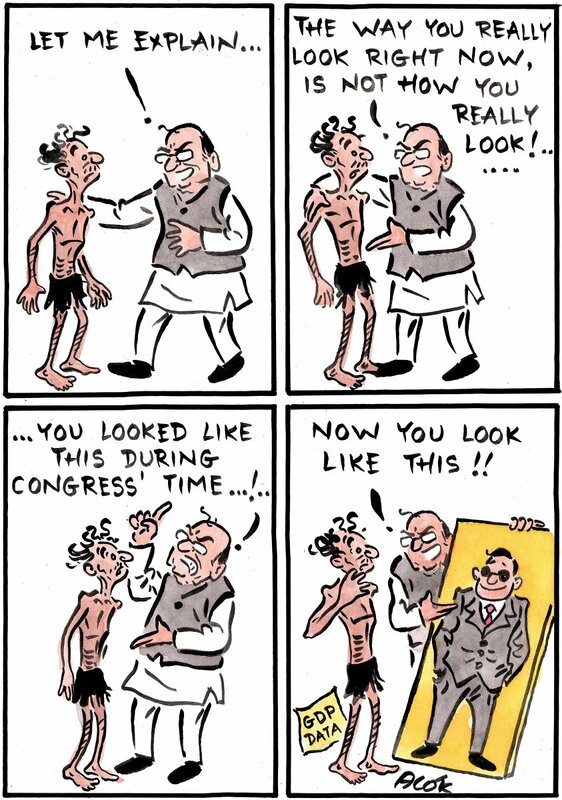 Alok Nirantar takes a dig at the BJP government for the new GDP data which showed low growth under the UPA regime. 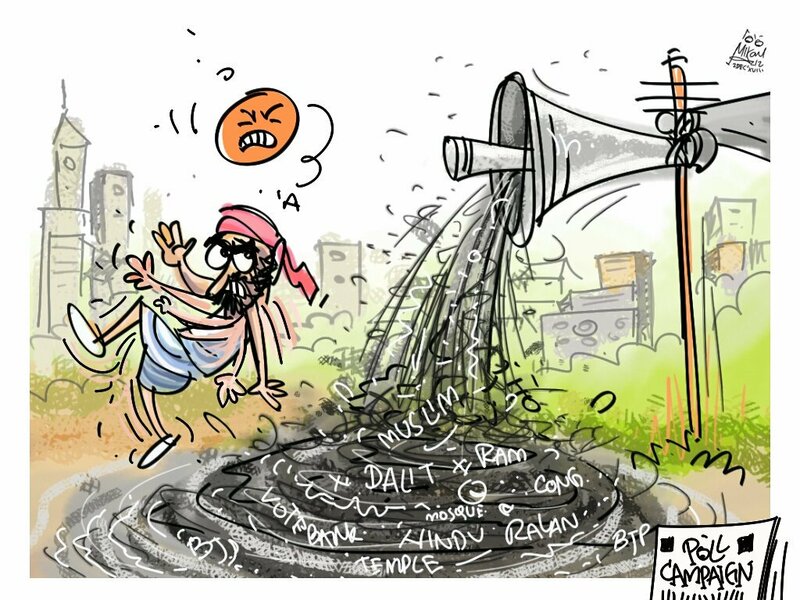 For Saturday’s National Pollution Control day, Mika Aziz illustrates the actual pollution that’s pouring out on India’s roads in the form of communal politics. 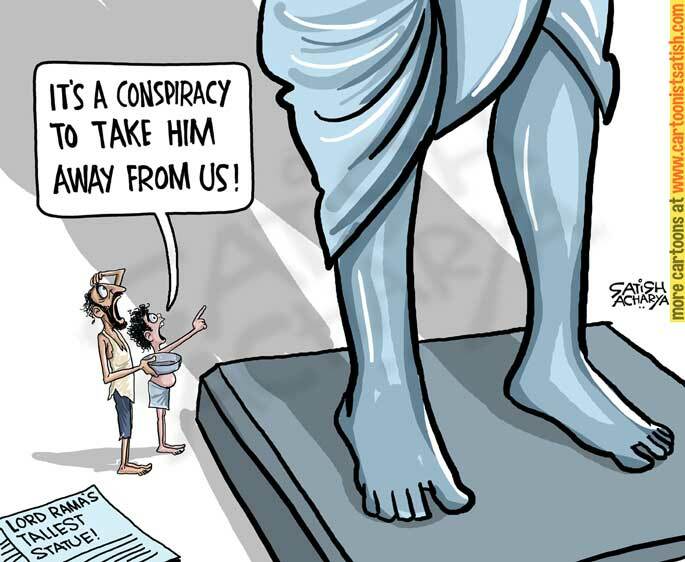 As talks gain pace to build the tallest statue of Lord Ram in Uttar Pradesh, Satish Acharya calls it a conspiracy to distance the common man from their faith. 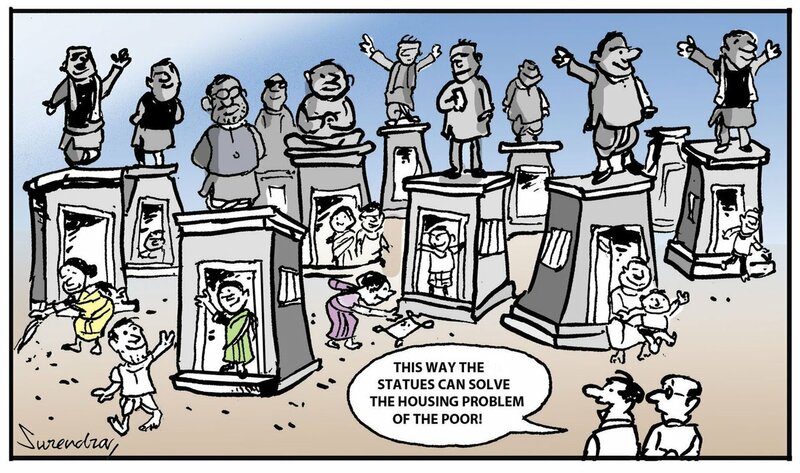 Surendra takes a jibe at the government’s obsession with installing statues by suggesting a way to ‘solve’ the housing problem in the country. 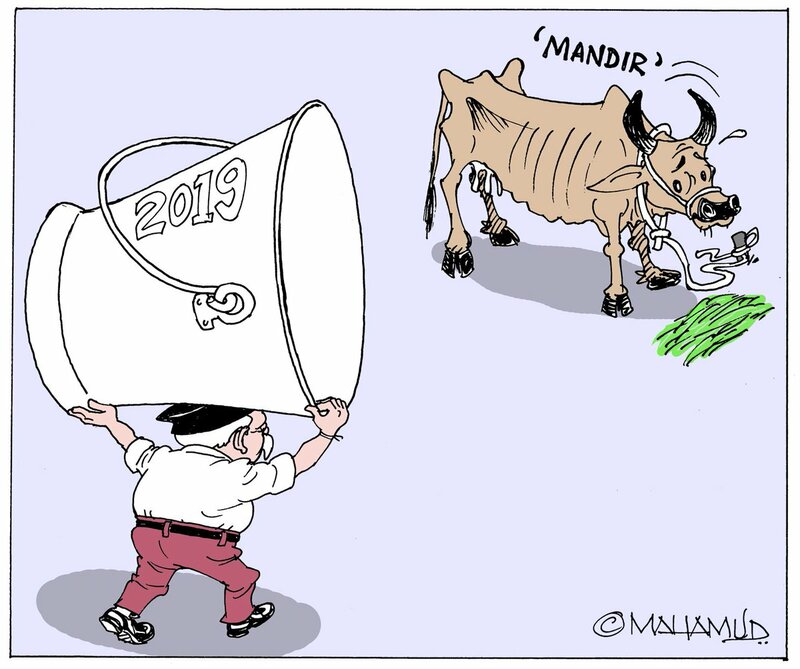 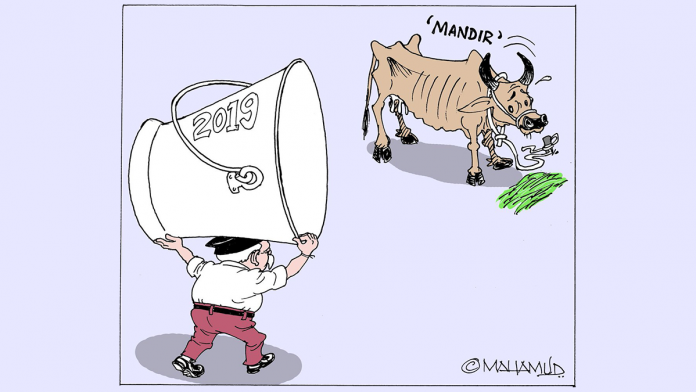 Cartoonist Mahamud highlights the efforts of RSS chief Mohan Bhagwat to ‘milk’ the drained temple-politics cow for the 2019 general elections. 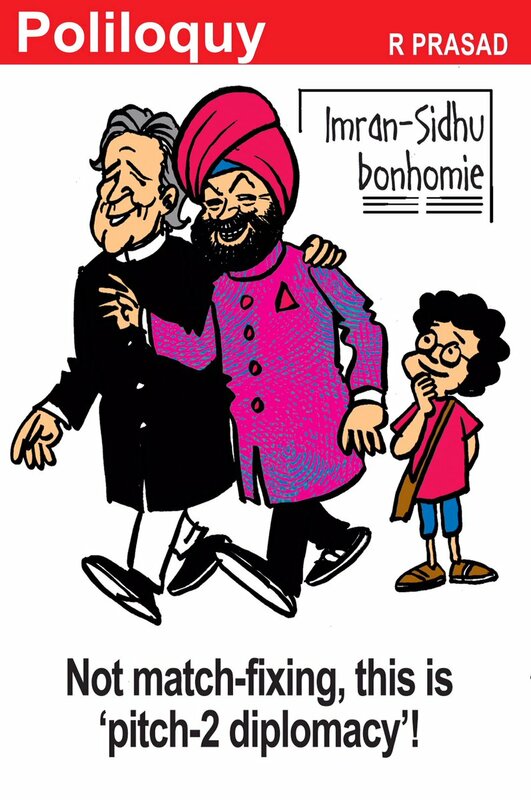 R. Prasad suggests that the Kartarpur corridor was a perfect example of track 2 diplomacy by former cricketers Imran Khan and Navjot Singh Sidhu.